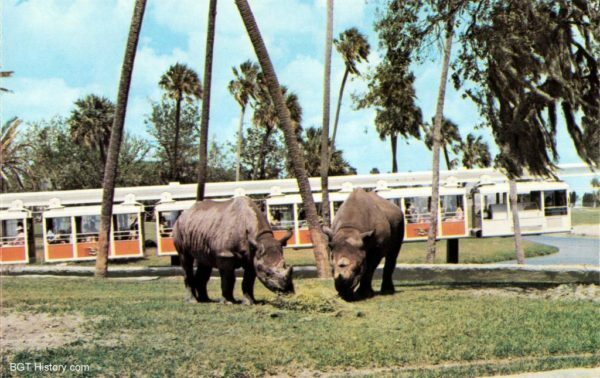 The Veldt Monorail provided guests a chance to see much of the Serengeti Plain and the various species that roam freely across it. 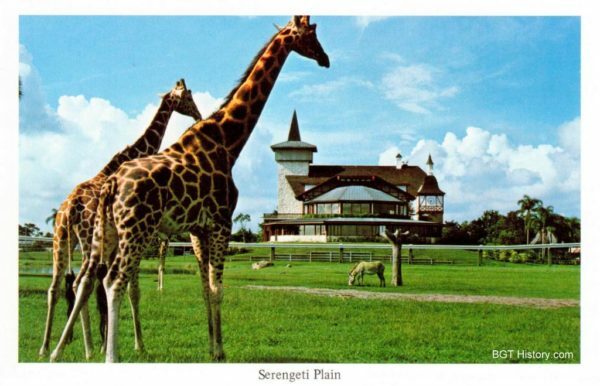 At 7,000 feet in length, it was reported to be the second largest when it opened, with only the one at Disneyland being longer. 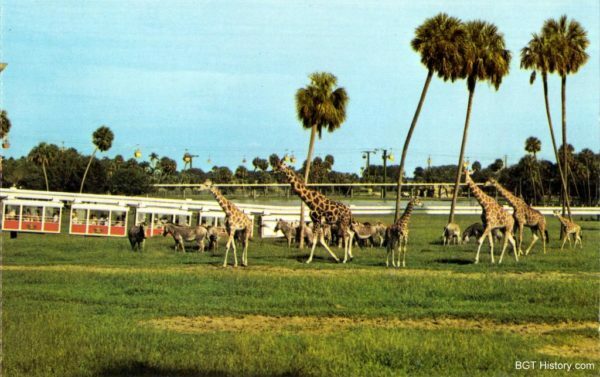 The 1.3 million dollar addition featured 12 air conditioned cars with on board audio, and a suspended car design that hovered low to the ground in most areas to provide excellent views of the wildlife. 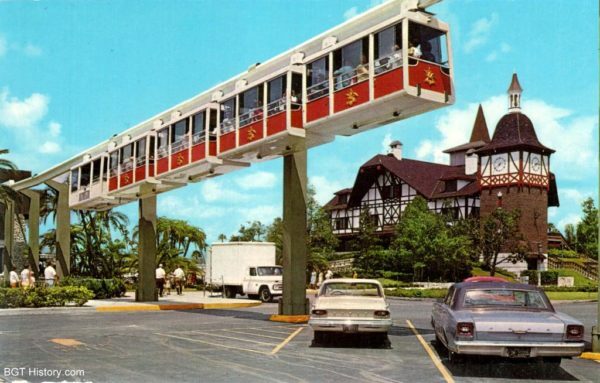 At its highest point, the monorail reached 30 feet. 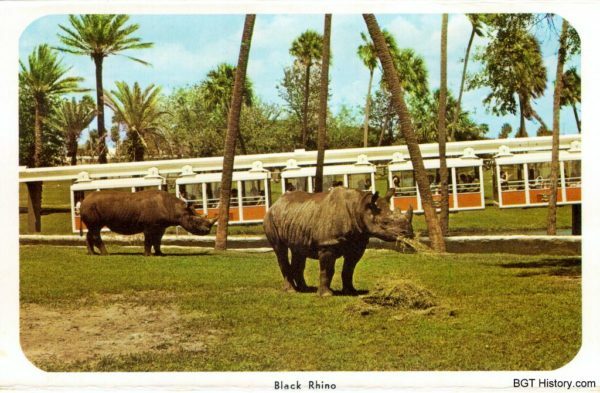 The monorail departed the station (which is now the station for Cheetah Hunt) and transported guests across the Serengeti Plain (originally called Wild Animal Kingdom), including destinations like Gorilla Island, the “Congo River,” past the lion moat and onto Goat Mountain, “Lake Victoria,” and the rhino and elephant displays. 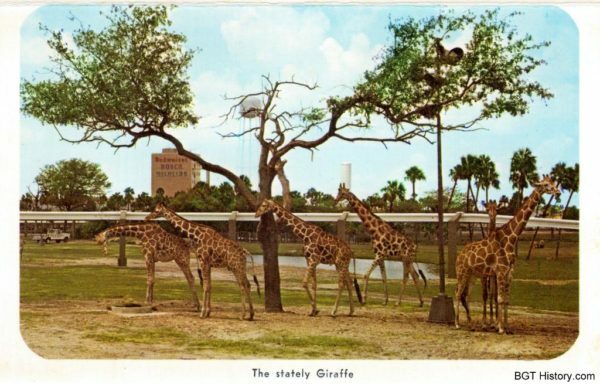 A late 1960s brochure refers to the attraction as Skyrail, where guests can see a variety of species up close including lion, elephant, zebra, giraffe, rhino, cheetah, hippo and many others. 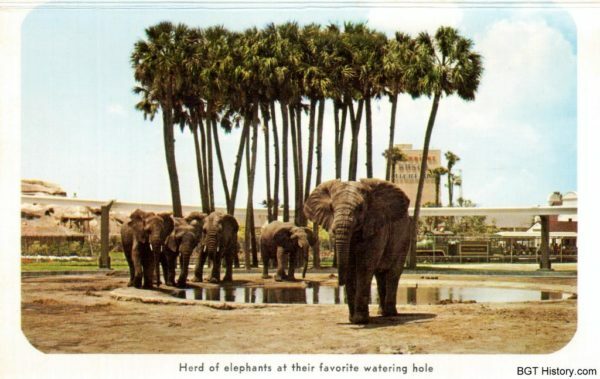 In early September 1967, a sinkhole opened up on the veldt near the monorail. 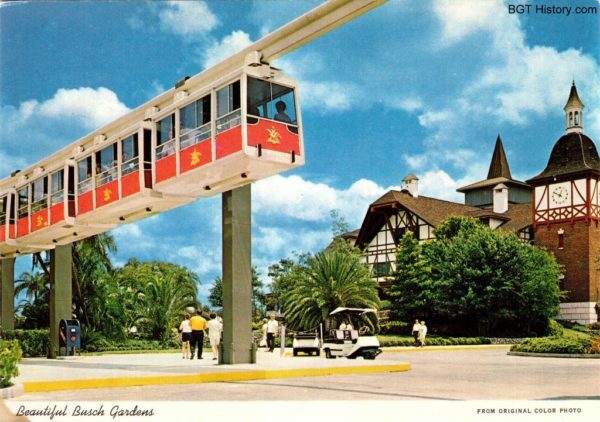 Drilling rigs were brought in and tests were done to see if there was any danger to the monorail supports. 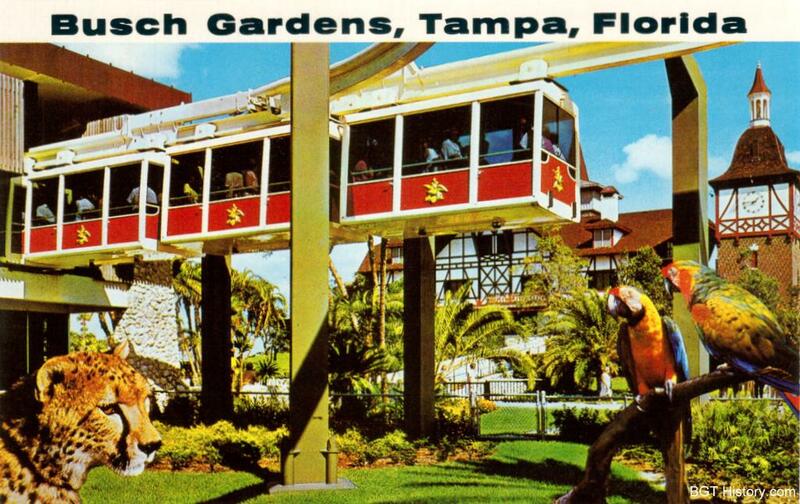 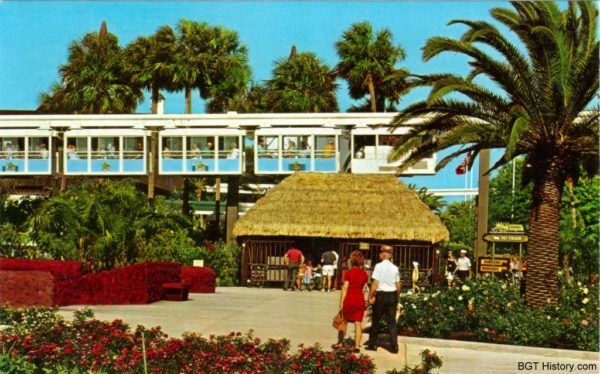 By 1970, the attraction was listed simply as Monorail. 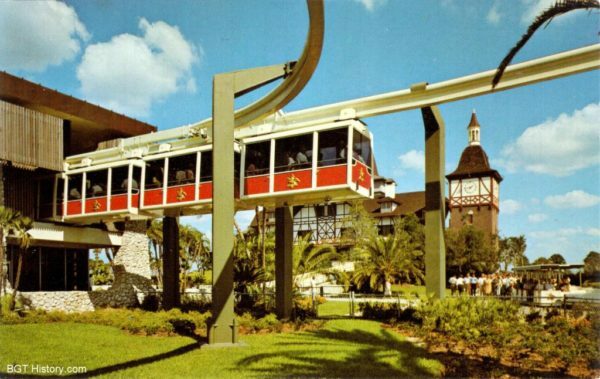 While the park itself didn’t charge an admission fee to this point, the monorail was a separate charge of $1.50 for adults, and 75¢ for children under 12. 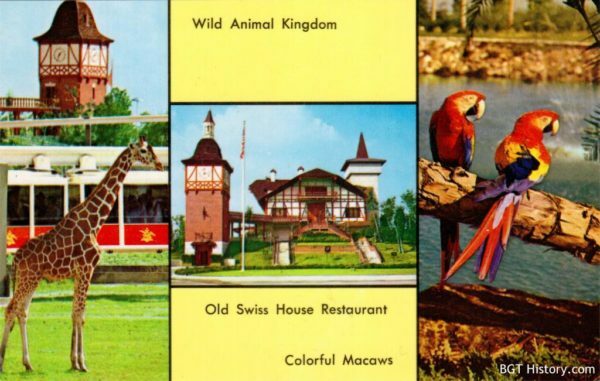 It was described in a brochure from that year as a 1 1/3 mile tour with eye-level views of various species across Wild Animal Kingdom. 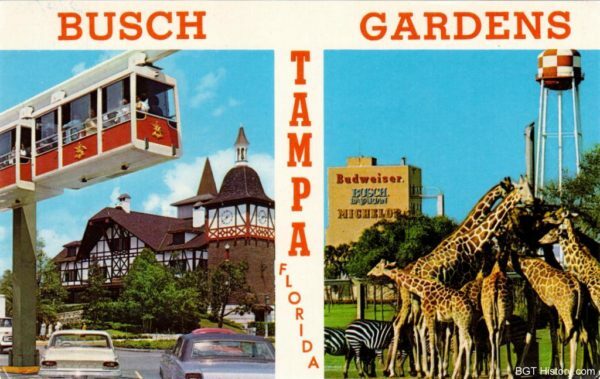 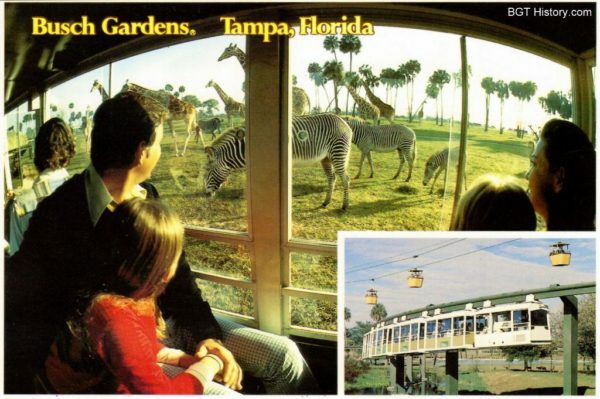 Maps in 1974 listed the Monorail Safari as an Inner Veldt Tour bringing guests up close to lions, zebras, giraffes, and hundreds of other animals. 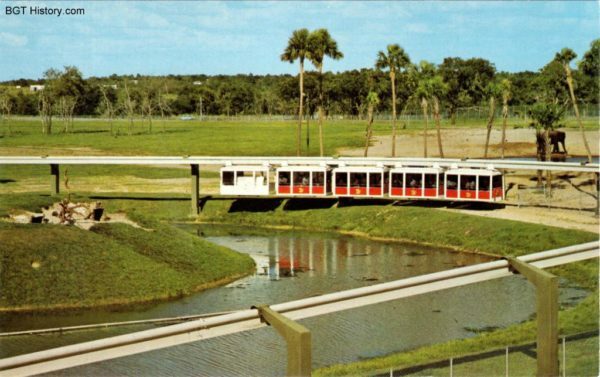 In 1988, the monorail trains were upgraded to a new, air conditioned model. 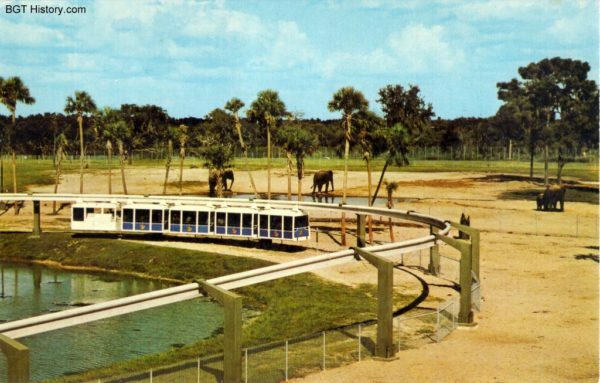 Additional details and images of the Veldt Monorail will be added in the future.